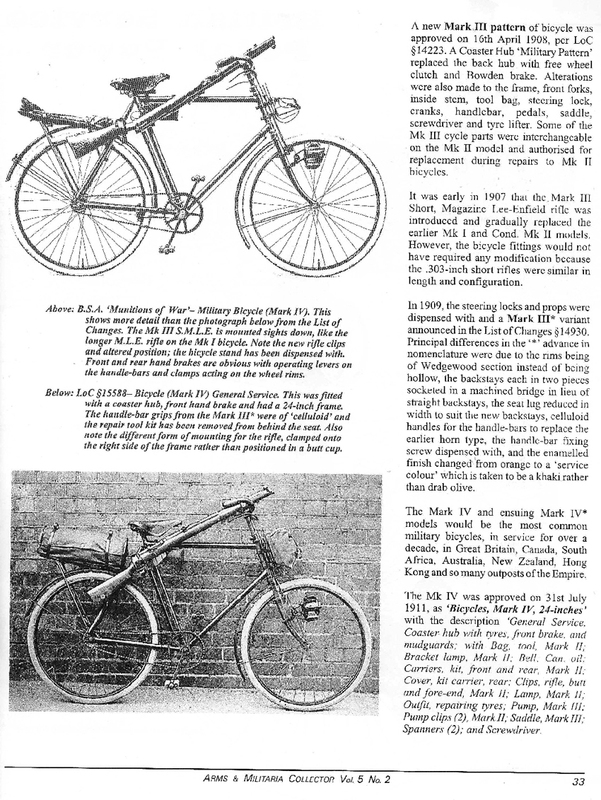 The Mk.IV military bicycle was approved for use by the War Office on 31st July 1911. 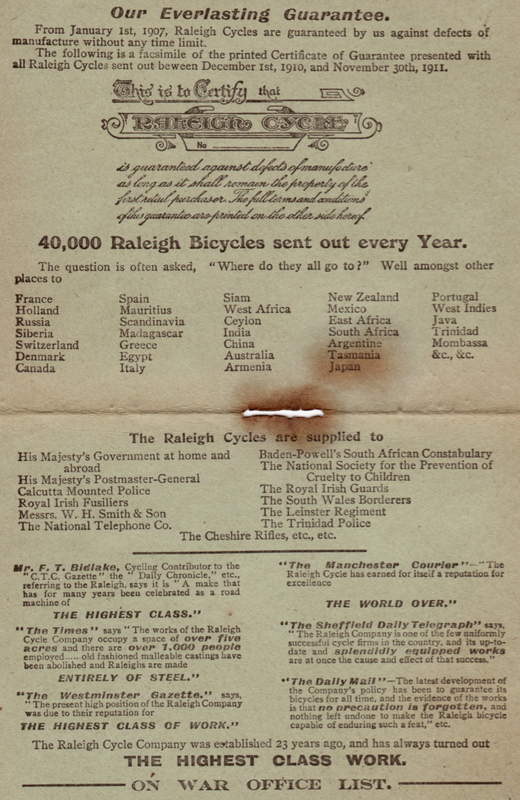 Various manufacturers supplied the government with bicycles using this specification and it became the most common military model, in use for over a decade, both in Great Britain and throughout the British Empire. 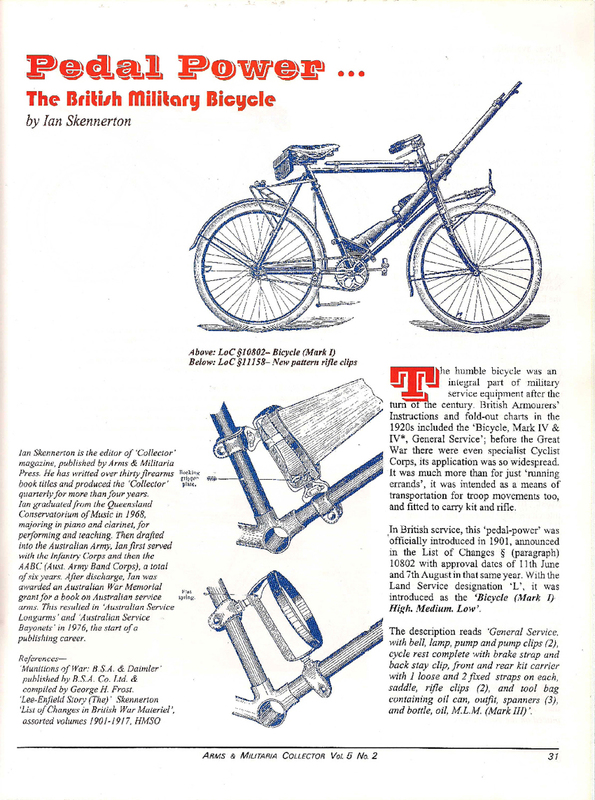 The article by Ian Skennerton, illustrated below, was published in 1991 in Arms & Militia Collector, and is an excellent source of information on the development of this military bicycle. 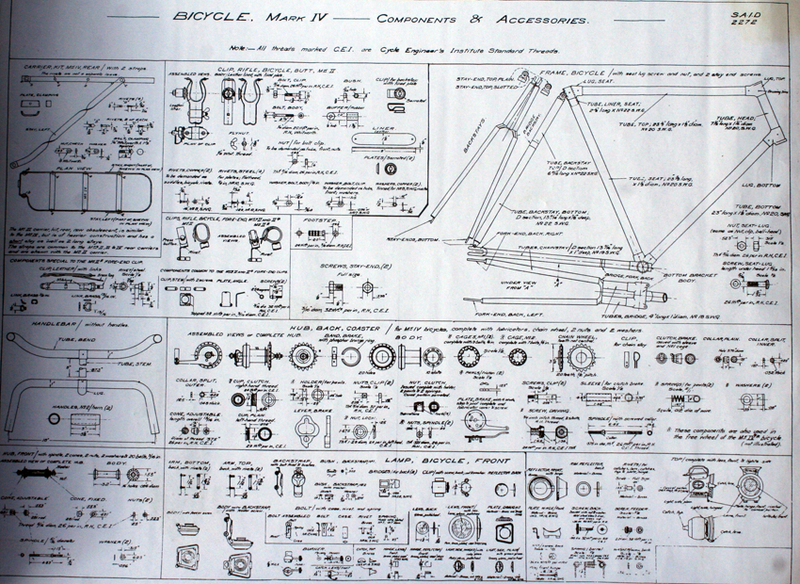 There’s a lot of detailed information on the second page of this catalogue. 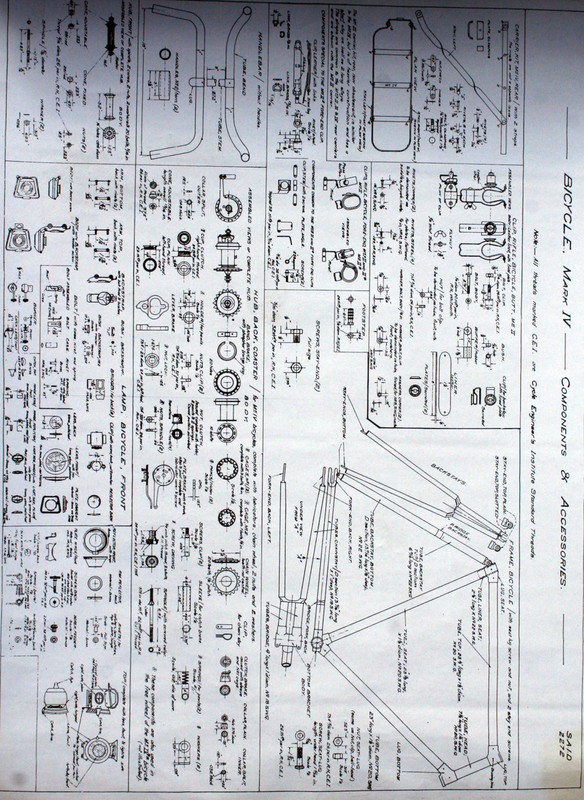 So, below, I’ve added a larger version for you to download and print. 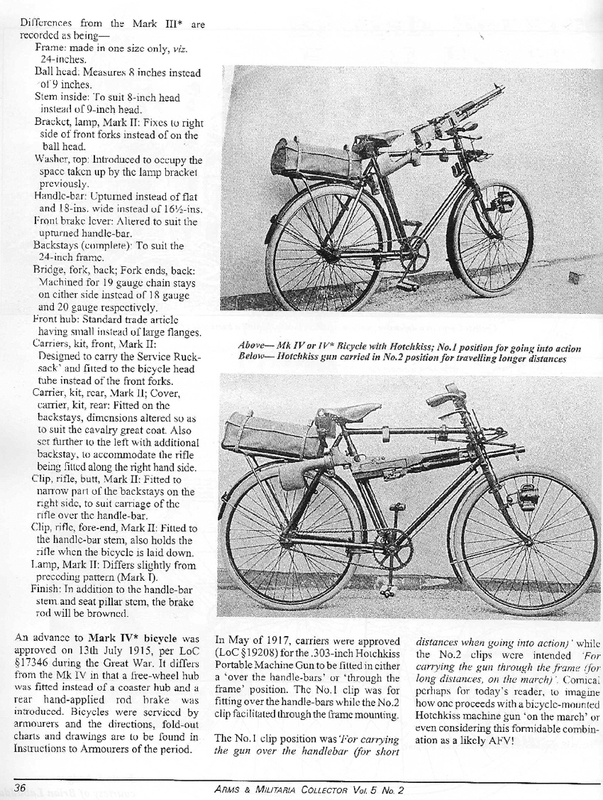 It’s not easy to tell the difference between the manufacturers of military bicycles – they all worked to the same specification agreed with the War Office – but the bike at the bottom of the picture above has the same chain wheel as the Raleigh featured in the Cycling magazine review. 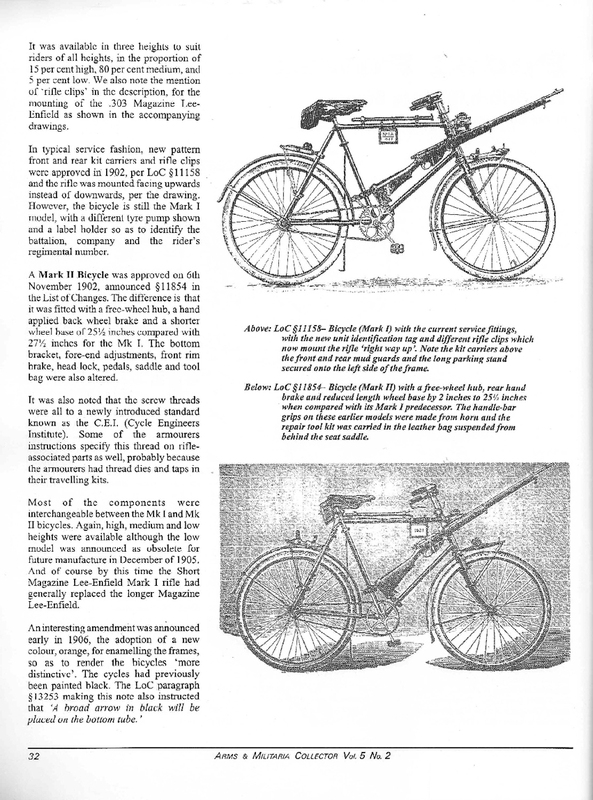 Though a similar chain wheel was also used by New Hudson military bicycles in WW1. 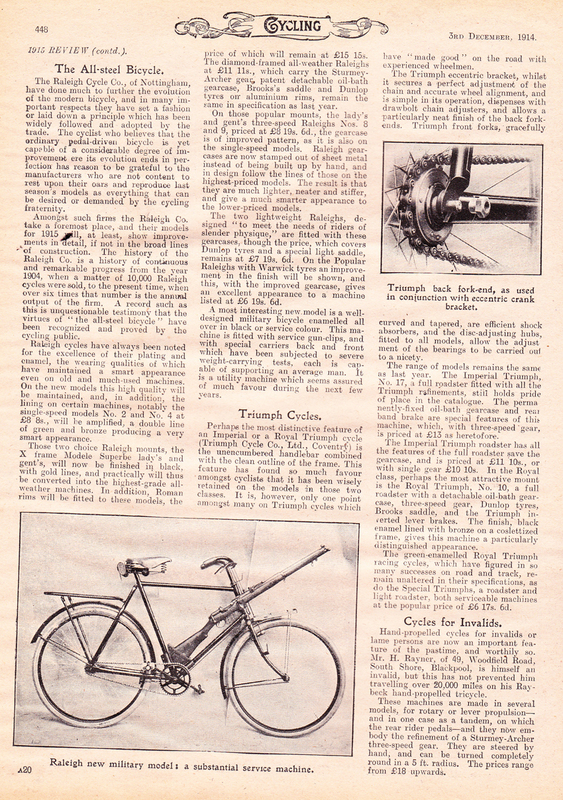 The chain wheel seems similar on the bike below. 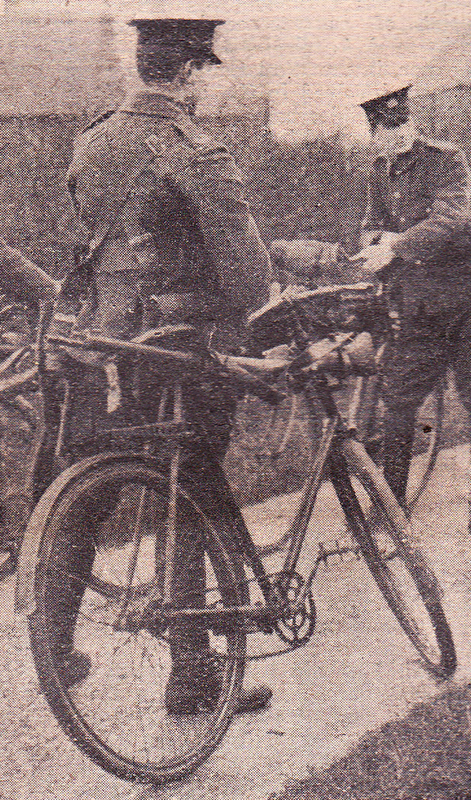 But this one is not distinct enough to identify. 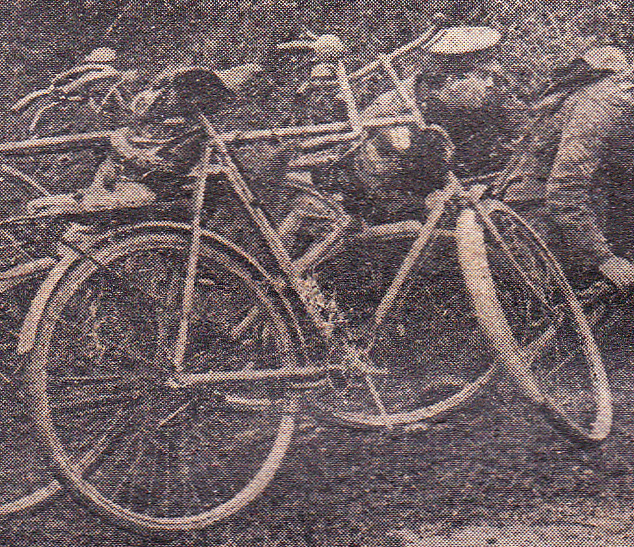 With war declared, the British bicycle industry turned to war production. 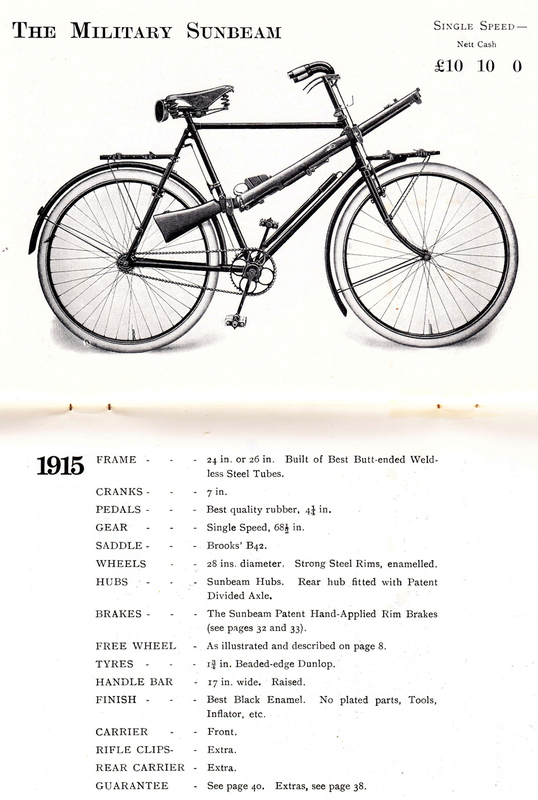 Though the majority of Sunbeam’s military models were made for the French government, a limited quantity were also on sale in Britain. 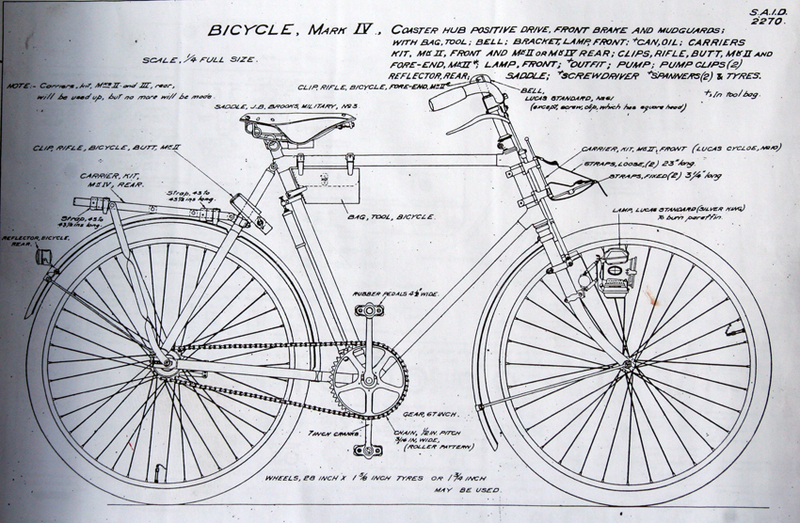 It was essentially the J.P. model painted khaki, without oil bath or gears, and with the pump fitted to the down-tube. 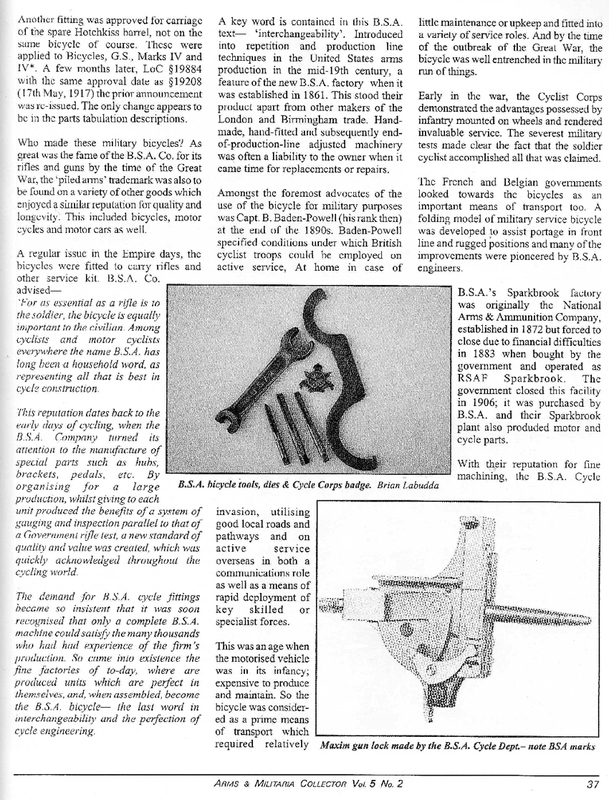 A front carrier was fitted as standard, but the rear carrier and Lucas rifle clips were extras. 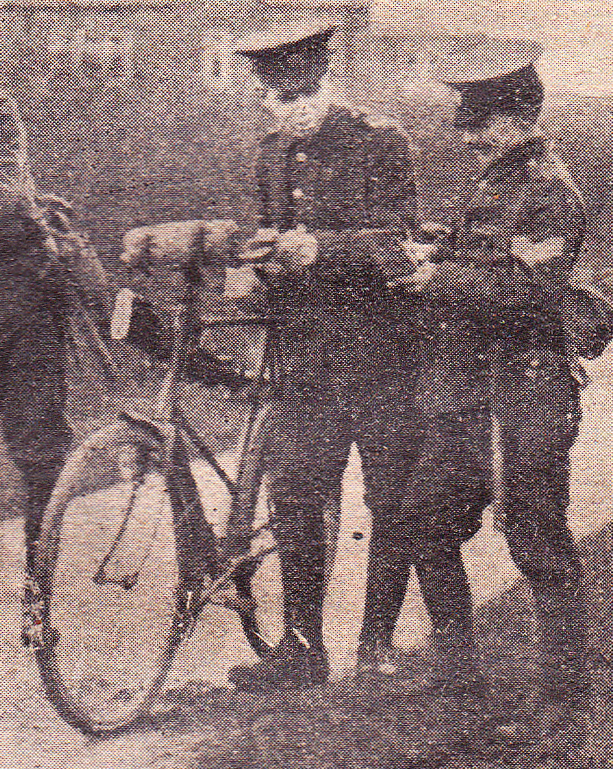 The price was 10 guineas. 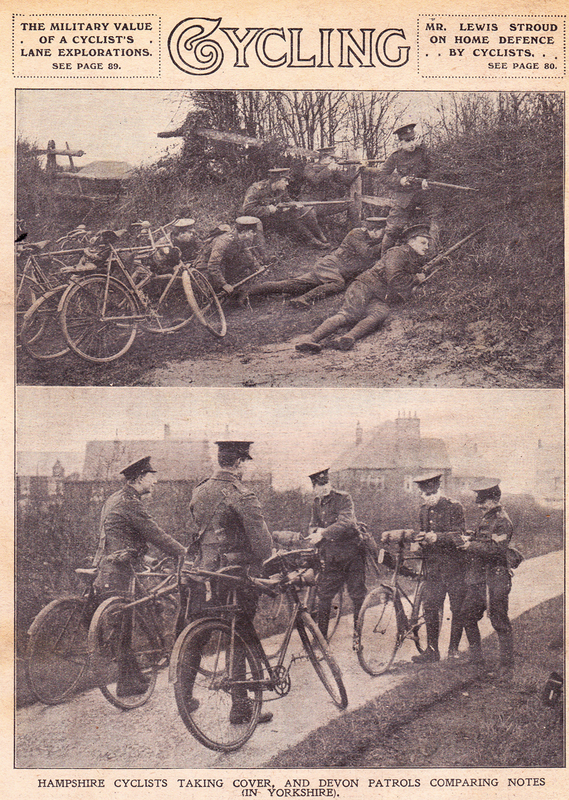 Bear in mind that, if a bicycle was required, soldiers bought their own machines; they were available on special hire purchase schemes.